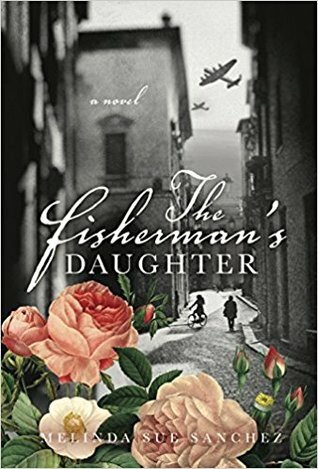 Eighteen-year-old Marianna De'Angelis has grown up on her father's fishing boat off the picturesque coast of Sicily, Italy. She traverses the nearby countryside on horseback and bicycle and works alongside her mother selling fish at market. It is a simple, happy life. But when WWII erupts and the Nazis overtake the country, Marianna's peaceful world is shattered. I was drawn into this story right away, but it had a very slow pace and I found myself getting distracted by other things. But, once I got back into it I was quite interested to find out what would happen to Marianna and Massimo. I thought it was well written and I really came to care for the main characters. Marianna was such a strong and courageous character, always wanting to help those around her. This time in history is tough (WWII Italy), and there was a lot of suffering shared in the story. I appreciated that the author was able to convey the horrors of war without going too much in depth with graphic violence. The espionage was quite intriguing. There were so many players, and the fact that so many willingly risk their lives for the greater good is heartening. Whenever I think about the enemies of WWII, I usually think about Hitler, and the Nazis. I admit, I've never given much thought to the Italians, even knowing they were part of the Axis. This book was eye-opening, giving the reader the viewpoint of a typical Italian family, caught up on the wrong side of a war, having to send their brothers and sons off to fight for a cause they didn't agree with. I had never heard of the Partisan resistance fighters before, and am now very interested in learning more about them as well as Italy's involvement in the war. Marianna and Massimo's relationship seemed to happen really fast, but even with that, it didn't seem cheesy or unbelievable. The strength of their family bonds also helped make this story so good. The beginning of the story moved a bit slow for me, but once the battles started, it became very hard to put the book down. Definitely a keeper. This story was a little different for me in that I feel like the romance sort of got in the way. Normally I'm all about the romance, and it should be front and center, but for some reason not for this book. Maybe it was because I didn't really buy into their romance. It happened super fast, and whenever they were together they just made out. We never saw evidence of their getting to know one another, even in the beginning stages. I need more background for my characters than some kissing. The story really picked up when the romance wasn't part of it. I loved getting a closer look at the different factions and the different families. The Partisan resistance, the fighters and their backgrounds, even the SS soldier were all a fascinating read. And here is where I become hypocritical. Remember my rant about the romance? Well, the ending needed more. I got a page. That's it. Just one. After all the conflict I want things flushed out more than just a page. I need to see reunions with families and loved ones. I need to see things years down the road. I need healing. I need....well, I just need more than a page.